The Haub School is home to a diverse faculty undertaking novel approaches to environmental and natural resource questions in a range of fields. New knowledge and understanding generated at the Haub School supports sound decision making for the future. Below is a small sample of some current and recent research at the Haub School. 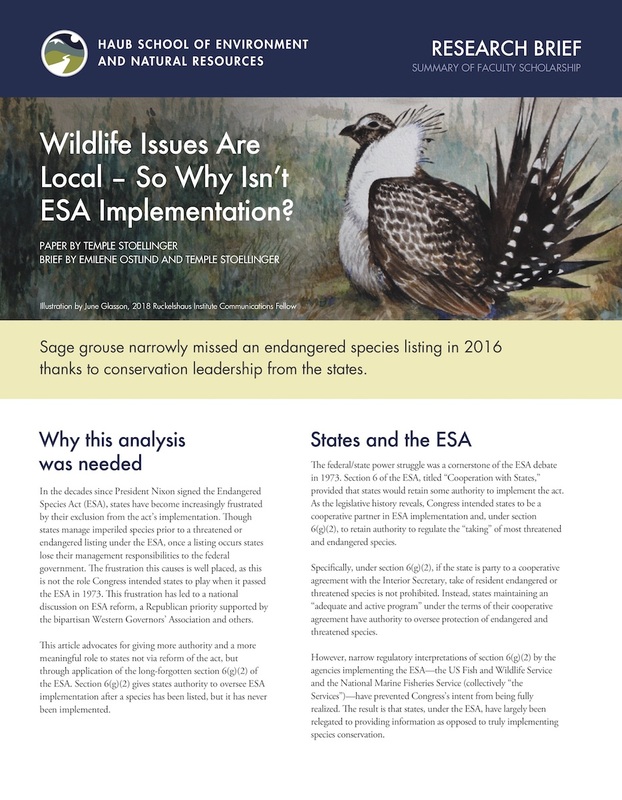 Research Brief: Wildlife Issues are Local – So Why Isn't ESA Implementation? This research brief summarizes a legal analysis exploring the legislative history of the Endangered Species Act and making an argument for strengthening the role of states in conserving listed species. 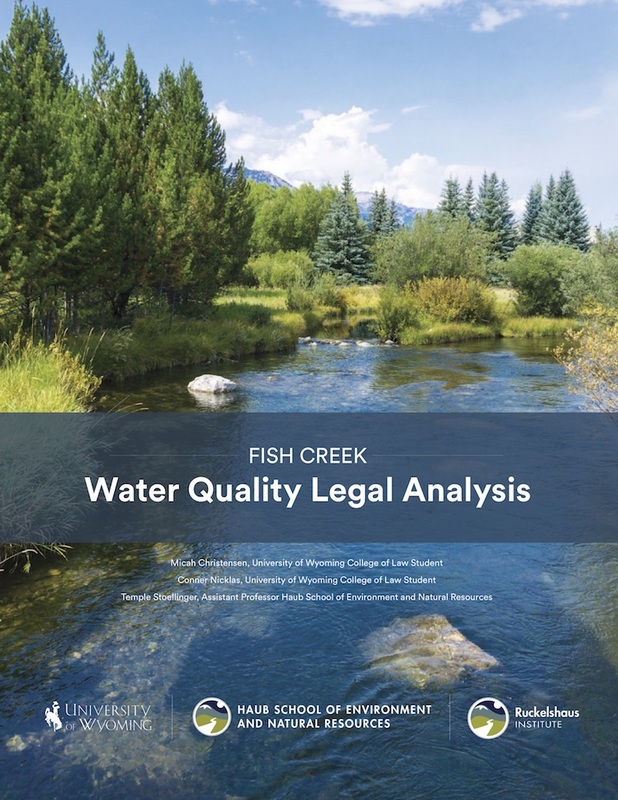 The study, by Haub School assistant professor and co-director for the Center for Law and Energy Resources in the Rockies, Temple Stoellinger, was published in UC Berkeley School of Law’s Ecology Law Quarterly. 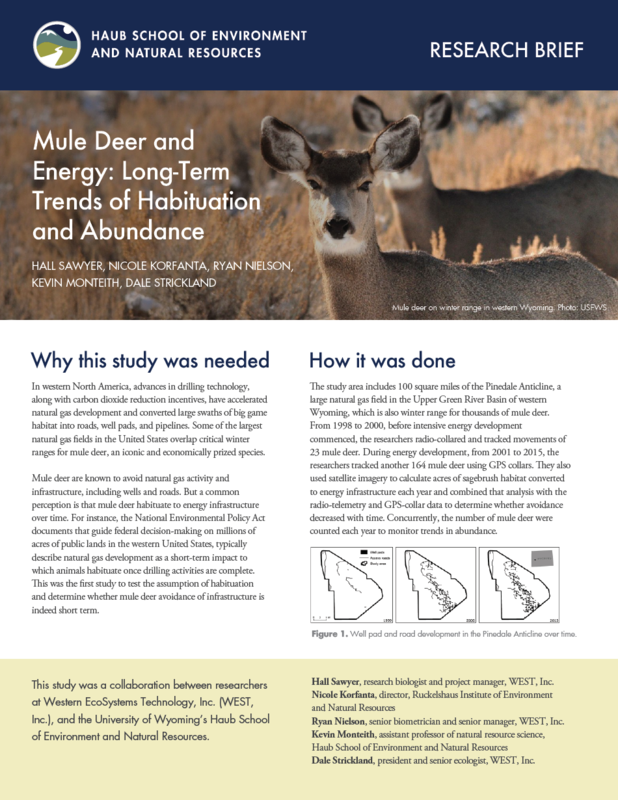 Nicole Korfanta, director of the Ruckelshaus Institute, and Kevin Monteith, assistant professor of natural resource science in the Haub School, were members of a research team investigating the long-term impacts of energy development on mule deer in the Upper Green River Basin of western Wyoming. The team was headed by ecologist Hall Sawyer of Western EcoSystems Technology, (WEST) Inc., along with Ryan Nielson and Dale Strickland, also from WEST. The researchers used telemetry data from 184 deer across a 17-year period to determine whether deer habituated to energy development and if their response varied with winter severity. Results of the study found that mule deer did not habituate to gas development, and the population declined by 36 percent despite aggressive on-site mitigation efforts and a 45 percent reduction in deer harvest. The study, "Mule Deer and Energy Development–Long-term Trends of Habituation and Abundance" appears in the October 2017 issue of the journal Global Change Biology and may hold implications for energy development planning on federal lands. Temple Stoellinger, assistant professor in the Haub School and co-director of the Center for Law and Energy Resources in the Rockies, worked with University of Wyoming College of Law students Micah Christensen and Conner Nicklas to conduct a legal analysis of water quality issues affecting Fish Creek, a tributary to the Snake River in Teton County, Wyoming. This project was a response to concerns from community members and local government officials over higher than normal nutrient concentrations of nitrogen and phosphorus. The authors examined legal questions surrounding septic tank regulation authority, local regulations, golf course chemical use, setbacks, and manure management, among others. The analysis is published here for public consumption and was also shared with stakeholders in Teton County to inform their future efforts to address nutrient loading in Fish Creek. Temple Stoellinger, assistant professor in the Haub School and co-director of the Center for Law and Energy Resources in the Rockies, and Tex Taylor, professor in the Department of Agricultural and Applied Economics, conducted a economic analysis to estimate the economic impact to the state from three different levels of sage grouse conservation. They assessed 1) the baseline contributions to Wyoming’s economy from activities on sage grouse habitat including oil and gas development, wind energy development, and livestock grazing; 2) the amount by which those contributions would be reduced under the requirements of the Wyoming Core Area Strategy and the recently released federal land use plan amendments; and 3) the reduction to economic contributions from sage grouse habitat in Wyoming were the sage grouse to be listed as an endangered species. 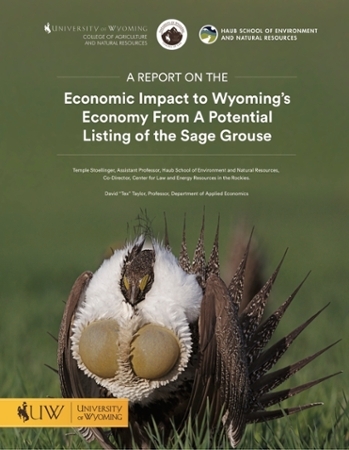 They concluded that, while the state-led Wyoming Core Area Strategy does reduce the economic output from lands qualifying as sage grouse habitat, those reductions are much less than would result from the bird being listed as an endangered species. The publication also provides a thorough overview of the status of the sage grouse as a species and the procedural/legal history of sage grouse conservation starting with the first petition to list the bird as an endangered species from January 2002. Indy Burke, former Haub School director, and Nicole Korfanta, Ruckelshaus Institute director, authored a Wildlife Society Bulletin paper with implications for habitat management in Wyoming. To offset habitat loss from energy development, wildlife managers are experimenting with large-scale sagebrush fertilization on western public rangelands. 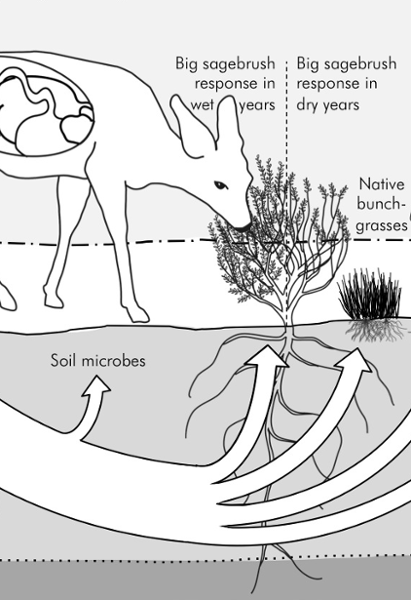 The authors synthesized what is known about basic sagebrush ecosystem biogeochemistry and ungulate nutritional ecology to assess the benefits and risks of this emerging mitigation tool. They concluded that potential ecosystem risks of excess nitrogen outweigh the benefits of fertilization, which are generally minimal and expensive to achieve. This long-running project assesses the effects of tropical deforestation on understory bird populations of the Usambara Mountains in Tanzania. 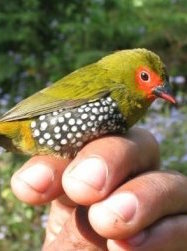 Current work focuses on reserve design to improve avian survival and reproductive success to sustain populations into the future. Nicole Korfanta, Ruckelshaus Institute director, is a principle investigator for this project along with William Newmark, a research associate and conservation biologist in the Natural History Museum of Utah, and Matthew Kauffman, leader of the Wyoming Cooperative Fish and Wildlife Unit at the University of Wyoming. Jo Albers, Wyoming Excellence Chair in Conservation Economics, is exploring the socioeconomic impacts of conservation planning for this study.